Hill Stations in Odisha are the perfect destinations for tourist, scenic beauty of hills with stunning waterfalls and cool atmosphere of Hill stations of Odisha during summer are the ingredient those makes Odisha a best tourist destination in all over the world. 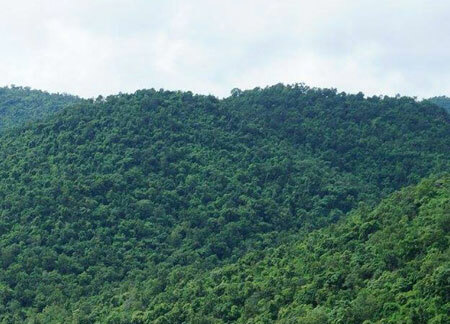 In Odisha many hill stations are located at Daringbadi, Taptapani, Mahendragiri, Dhenkanal and Olasuni Hills along with these are lots more present visit with family. These hill stations are located in very safe area also communication facility to reach these destinations are awesome, so tourist book Hill Stations tour packages in Odisha and enjoy their life. After arrival at Bhubaneswar Airport / Railway Station, pick up, check-in hotel, after freshen up half day sightseeing tour of Khandagiri & Udayagiri (The famous rock-cut caves Hatigumpha and wonderful sculptures in Ranigumpha built by Mahameghavahana Aira Kharavela), Tribal Museum, Ekamra Haat (Craft Market), and overnight at Bhubaneswar hotel. Take your breakfast, check out from hotel, proceed to Gopalpur, on the way visit Barunei Hill, Tara Tarini Temple on the hill top at Berhampur, check in hotel, Overnight at Gopalpur hotel. Take your breakfast, check-out out from hotel, proceed to Koraput, check in hotel, and relax visit a local market and overnight at Koraput hotel. Take your breakfast visit famous Gupteswar Temple, Sabar Srikshetra, Kolab Dam, Duduma waterfall, back to the hotel and overnight at Koraput hotel. Morning after breakfast, check out from hotel drive to Daringbadi, check in hotel, relax and enjoy Jungle environment. Overnight at Daringbadi hotel. Take your breakfast, visit beautiful hill station Daringbadi, it is popularly known as Kashmir of Odisha, because of its beauty and snowfall, then visit Putudi waterfall, Belghar, Balaskumpa Temple. Overnight at Daringbadi hotel. Take your breakfast, check out from hotel proceed to Bhubaneswar and overnight at Bhubaneswar. Take your breakfast, check out from hotel, proceed to Dhenkanal, visit Kapilas (Lord Shiva Temple) on the hilltop, Saptasajya waterfall, drive back to Bhubaneswar. Overnight at Bhubaneswar. Take your breakfast, check out from hotel and transfer to Bhubaneswar Airport / Railway station for your onward journey with sweet memories of Jagannath Dham (Odisha).